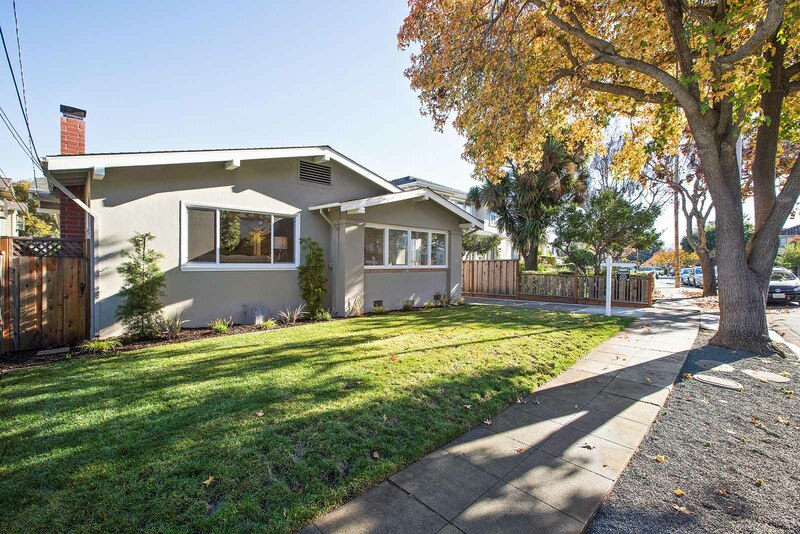 Located on a desirable street of the San Mateo Heights neighborhood with a large 7,750 square-foot lot, the main home is a radiant 2- bedroom, 1-bathroom offering expansive charm and comfort. The approximate 1,350 square-foot home features a large open floor plan with character and charm at every corner. The spacious living room offers a wood burning fireplace with built in shelving and abundant natural light. With newly refinished hardwood floors, its floor plan seamlessly connects the formal dining room to the large kitchen, making entertaining a breeze. Living accommodations include two secondary bedrooms and a bathroom with a soaking tub. The patio off the main house hosts a fabulous area for child’s play or a seating area to host a barbeque in this superb climate. A bonus 500 square-feet 1-bedroom, 1-bathroom cottage located in the back of the property offers endless possibilities for a guest area, in-law unit, or rental property. With new flooring throughout, fresh interior paint, and beautiful connecting backyard, this cottage is ready for all guests alike. Conveniently located less than one mile from San Mateo and Burlingame’s top-rated downtown, residents are minutes from endless restaurants and shops, parks, and the stunning community libraries. Between its charming architecture, revamped interior, bonus cottage and sought-after location, this home is a must-see.